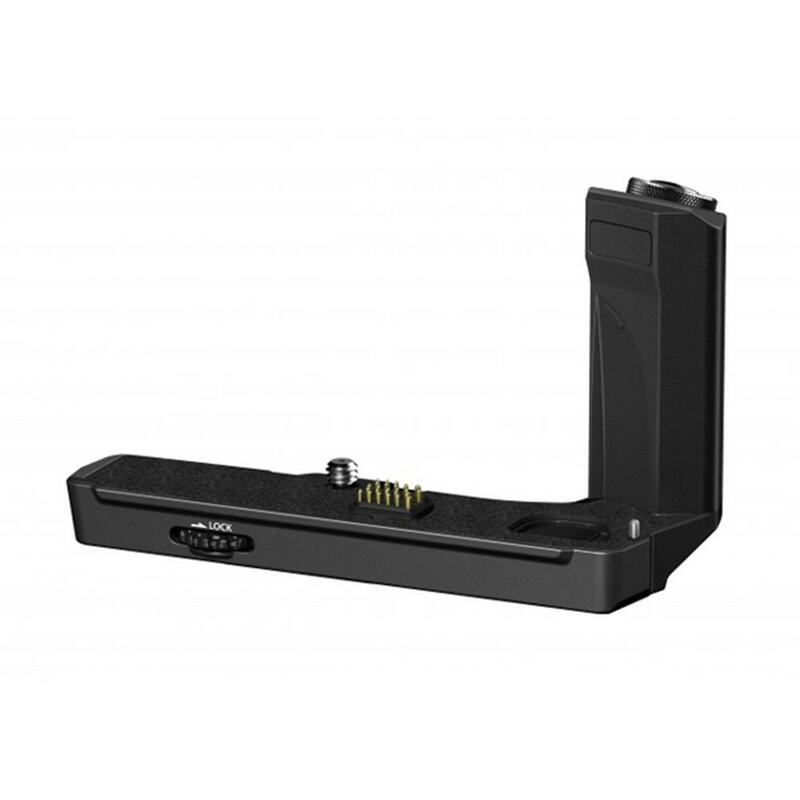 The HLD-8 (HLD-6P & HLD-8G) is an optional dust- and splashproof battery holder and grip created especially for use with the Olympus E-M5 Mark II. The device can be separated into two parts - one tailored to shooting in landscape orientation and one that's ideal for portraits. The landscape unit includes a built-in shutter button as well as a dial for locking the grip onto the bottom of the E-M5 Mark II. 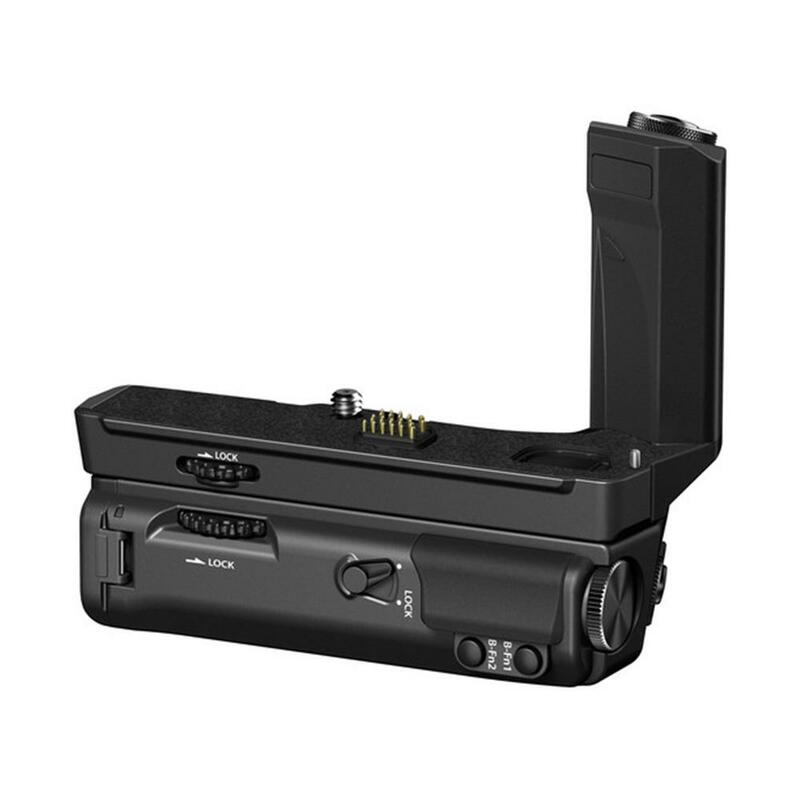 The portrait unit includes a molded grip for stable shooting while the camera is in the vertical (portrait) orientation, a built-in shutter button, two built-in function buttons that can be programmed independently of the function buttons on the E-M5 Mark II body, a DC-IN jack for continuous powered shooting (requires the optional AC-3 Power Adapter), and a compartment for storing an optional additional BLN-1 lithium-ion battery. 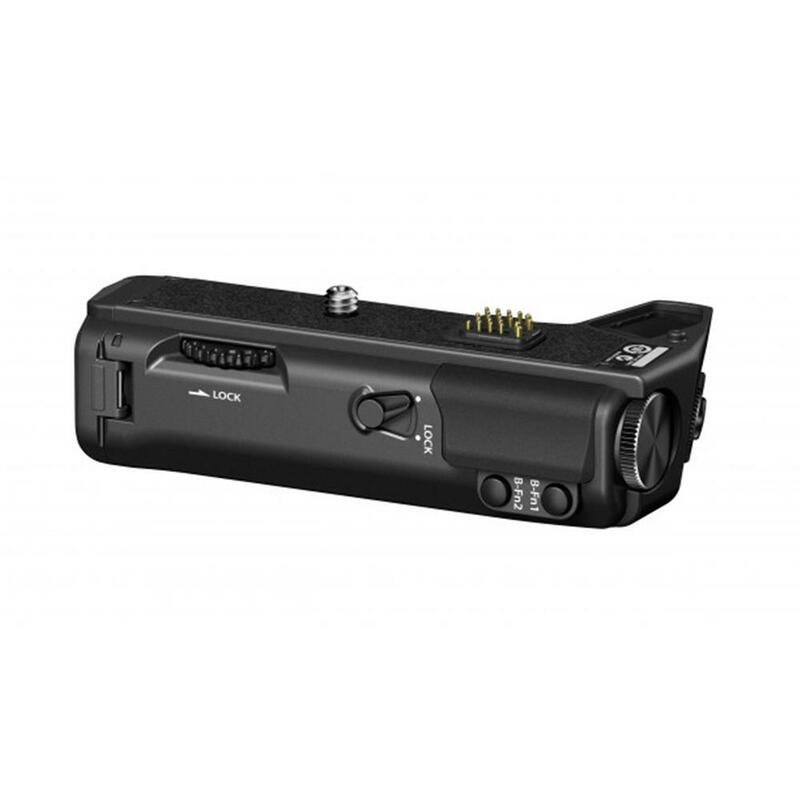 When shooting with the E-M5 Mark II and two batteries, you can choose which battery to use first; once it's drained, the camera will start using the second battery for uninterrupted shooting. The HLD-8 set only works with the E-M5 Mark II. You can also use the GS-5 Grip Strap with the HLD-8, available separately.